Goal: Associate a station to an AP with the WPS Push and PIN methods. 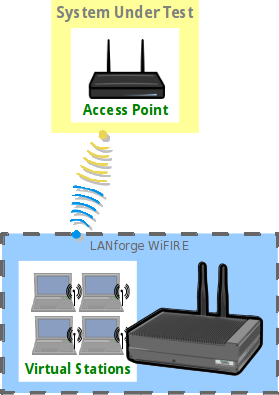 In this test scenario, a LANforge CT523 is used to simulate a station connecting to a commercial AP with WPS Push mode and also with WPS PIN mode. Currently this test requires the use of a terminal on the LANforge system to run some WPS commands. 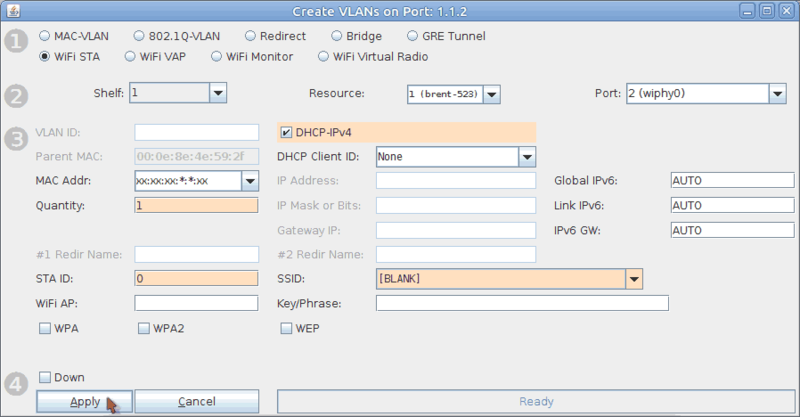 Create a virtual wireless station. Go to the Port Mgr tab. Check wiphy0 settings by selecting wiphy0 and click Modify. If the Down checkbox is selected, Click Set IF Down on the left, then uncheck the Down checkbox. Make sure Channel/Freq is set to AUTO. Back in the Port Mgr tab, select port wiphy0 and click Create. Set STA ID to 0. Set SSID to [BLANK]. Don't forget to add the brackets. 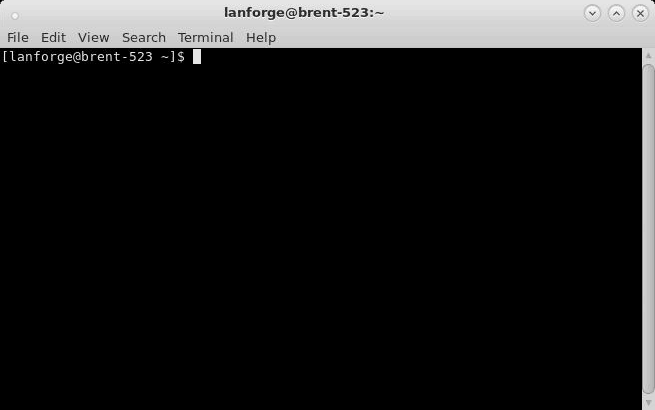 Open a terminal on the LANforge system. 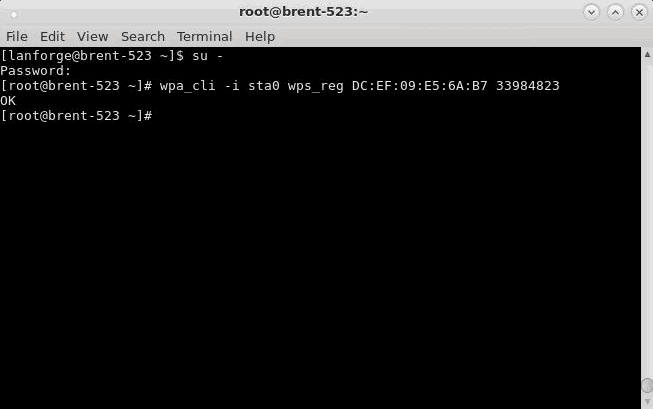 Create the file wpa_supplicant.conf in /etc that contains the below text. Alternatively, the command in the next step can be used to create the file. In the open terminal run the below command to create the wpa_supplicant.conf file. NOTE: Please make sure wpa_supplicant.conf doesn't already exist in the /etc directory. Keep in mind the wpa_supplicant.conf file will save AP information for stations. If you want a station to forget the AP information, you'll need to recreate the wpa_supplicant.conf file. 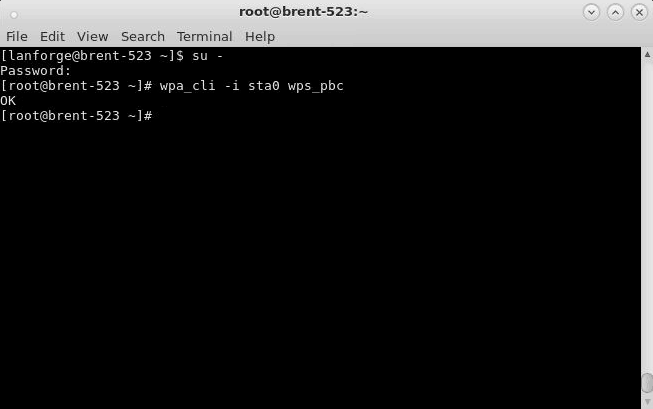 Configure sta0 to use a the wpa_supplicant.conf file created in step 2. Select sta0 in the Port mgr tab and click Modify. 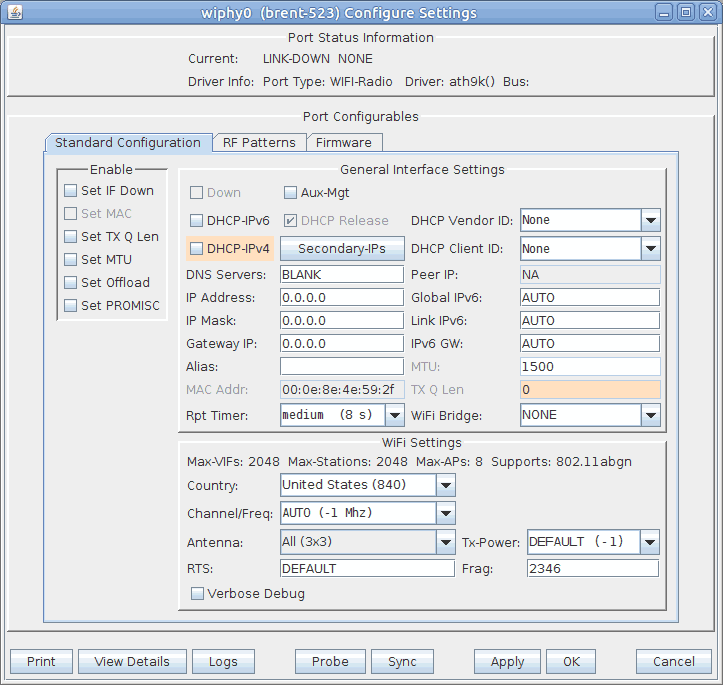 Associate the station using WPS Push mode. Your station should now associate and get an IP. 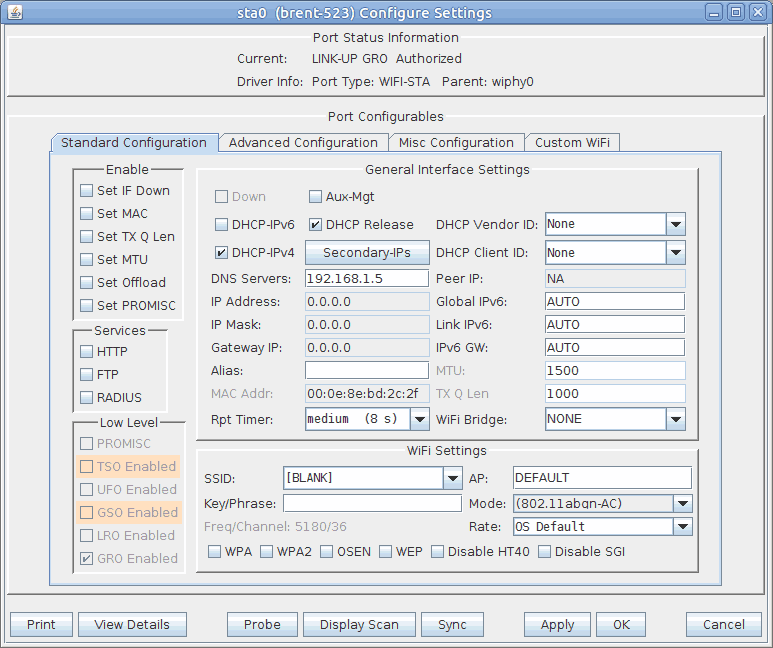 Note: The SSID field in the sta0 Modify window will remain as [BLANK]. You also may see a different SSID in the View Details window, this is a bug and can be ignored for now as long as the BSSID is correct. Associate the station using WPS PIN mode. Obtain your AP's BSSID and WPS PIN. This information can usually be found on the AP label or in the AP's software.